Coming off the back of Conor McGregor’s phenomenal 1st round finish of Dustin Poirier in Vegas on Saturday at UFC 178, it’s impossible for anything else to be in my head at the moment. He went out and delivered everything he said he was going to do. There can be no more doubt, he’s the real deal. But he’s so much more than a skilled fighter. He has a different aura to him than anyone else. He goes about his business differently. And the rate at which he’s reached the unprecedented level of success that he has, makes him all the more fascinating. You see, I’m always fascinated by successful people. And I mean successful in the sense that they are doing the things they want to do and doing it on their terms. So for a while now I’ve been trying to put my finger on exactly what it is that makes Conor McGregor just so “special”. As I started to notice some distinguishing traits, I realised that they could teach us all about how to approach our nutrition. People often “fail” with their nutrition, not because they’re not motivated, but rather because they approach it the wrong way. McGregor has shown he can adapt to whatever situation or scenario he is thrown in to. For example, his knee injury during the Max Holloway fight didn’t phase him, he simply adapted to the situation and dominated the next two rounds on the ground. Other prime examples include the change of opponents before UFC Fight Night in Dublin and his thumb injury in the lead up to the Poirier fight. This adaptive mindset is what we need when it comes to nutrition programming. A diet must be easy for someone to adapt to different situations. When you eat out, when you’re on the road, when life just gets in the way. Do you have a set of principles that allows you to adapt? This is why I constantly tell people that forget specific meal plans, you need a specific set of principles. A nutrition philosophy. Conor McGregor really is like no one else. Your nutrition should be the same. It really is true that no one approach is right for everyone. We call are different based on biochemical individuality, epigenetics, preferences, goals, etc. So just because you hear how great some diet is, don’t presume it will have the same effect on you. Tweak and experiment with things to learn how you respond to different approaches and foods. Find what works for you. So often we focus on 6 week transformations, rapid weight drops for an upcoming holiday or weeks of unsustainable diets before a wedding. Often a collapse and weight re-gain follows. This in some ways mirrors the approach of some MMA fighters. They spend a training “camp” pre-fight (about 8 weeks out) getting lean and ramping up training intensity. But with no fight on the horizon many can’t sustain what they were doing in “camp” and end up eating crap and not looking after themselves. But McGregor views this as his lifestyle. Constantly learning, developing, looking after his body and doing the same things whether he has a fight soon or not. Do the same with your nutrition. Pick something that you can make a lifestyle. If you can’t see yourself eating a certain way for the long-term, don’t do it! A three week restrictive “perfect” diet followed by a binge is exponentially worse than a slower but more sustainable process. Pick a lifestyle, not a quick-fix. 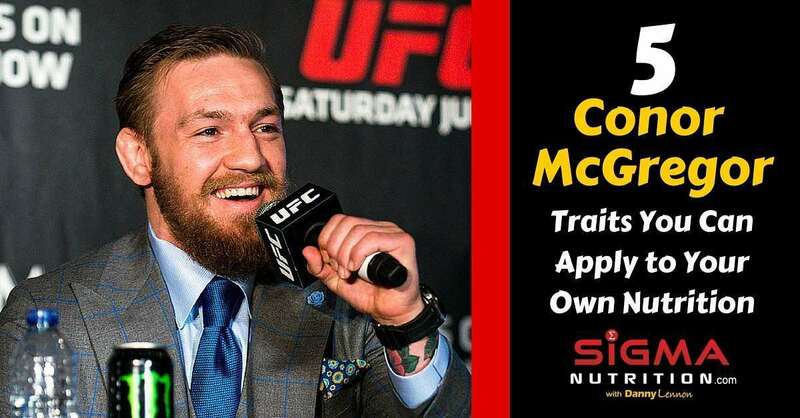 While it’s common to see many MMA fighters spend large amounts of time formulating a game plan with their coaches, often basing a lot of their training in the build up to the fight specifically on this, McGregor seems to be different. He has the approach of taking the fight as it comes and going with the flow. He’s not reliant on whether a take down is landed or not landed, or the tactics his opponent tries to use. He adapts and overcomes. How? Because he has an underlying philosophy, a set of guiding principles of being a martial artist. 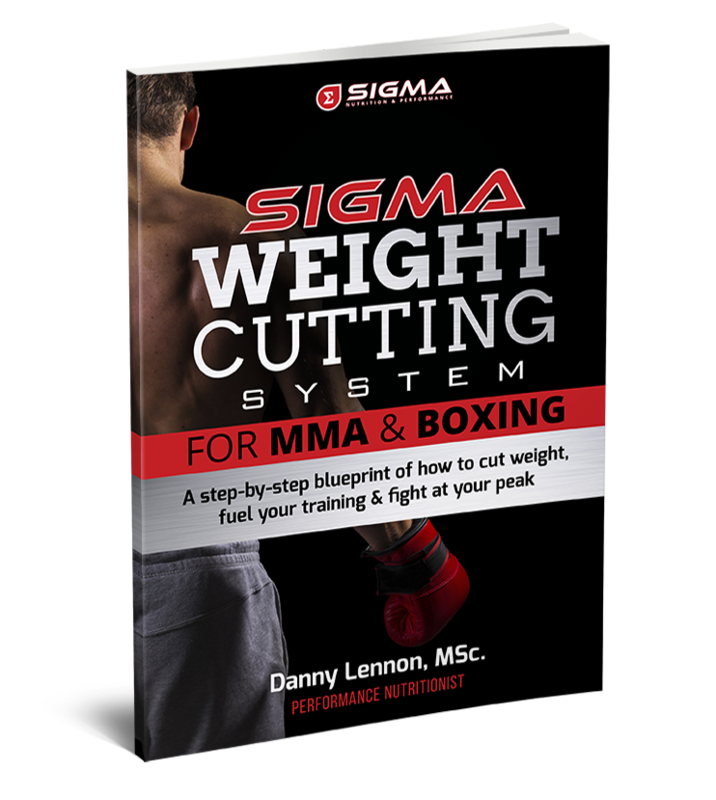 We are all guilty of looking for quick tips and tricks or clever tactics that will make the difference to our nutrition. But these are the wrong things to be looking for. As I mentioned previously, we need to focus on nailing down a set of guiding principles that we can live by (and therefore be adapable, as per #1). We need a philosophy. You should be able to summarise your nutrition in a sentance. You shouldn’t have a list of tactics that you need to rely on. #5: Smile, laugh and enjoy the journey! Nutrition should only serve one purpose: to improve your quality of life. If it’s not enhancing your life then you’re doing it wrong.The only reason I eat the way I do is becauseI know it makes me feel better, function better and chase down the things I want to in life. Your nutrition should do the same. But there is a bigger picture here. Anything we ever do is for the same reason: we’re trying to create a happy and fulfilling life. I’ve by no means figured that out but one thing I have realised is that we have to enjoy the journey. Embrace the process. Be happy BEFORE the end goal is reached. I can’t think of a better example right now than Conor McGregor. The guy is embracing and enjoying every second of this amazing journey he is on. You cant help but be uplifted every time you see the dude. And I don’t think it’s because he’s winning fights. I think it’s because he’s living life on his terms because he chased down what was important to him. So matter what your goals are, how you decide to eat, how much training you do, how good shape you get in, remember… it’s about being happy in this process we call life.